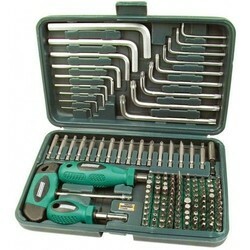 Bitset, 101 pcs. 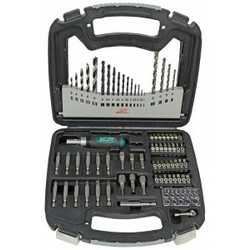 Very complete bit set with 95-bit (25 mm) from S2 steel slot, Phillips PH and PZ, 2-3 and four-wing, two-pin, hexagon and hexagon socket with drilling (metric and inches) square, lots of teeth and bits for internal and external torx in different sizes. 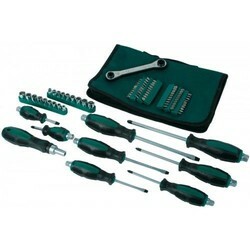 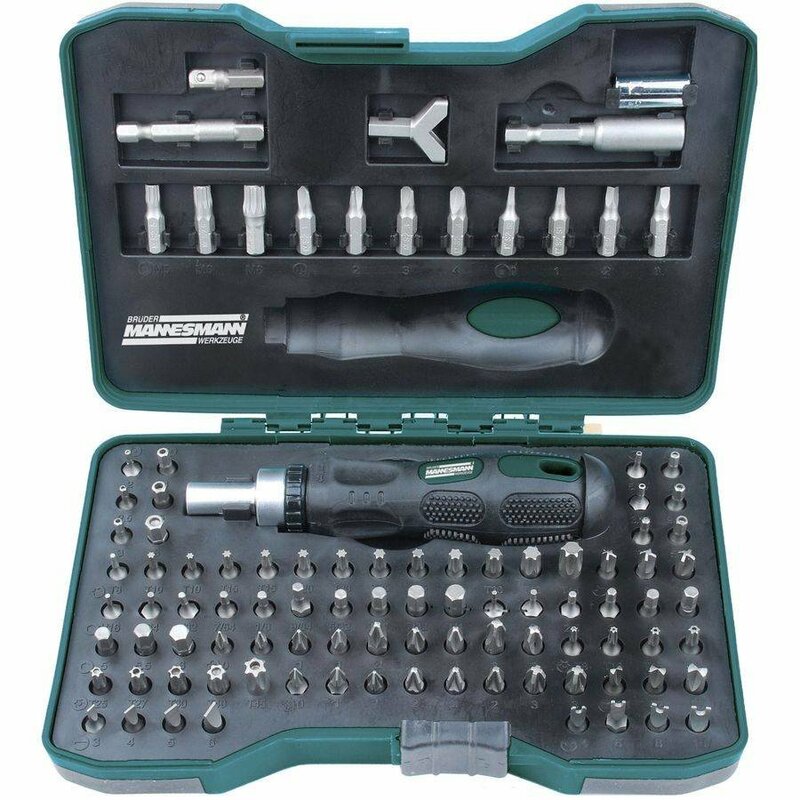 The set comes in a sturdy cartridge ratchet screwdriver (switchable), magnetic bit holder, Bit adapter, 25 and 50 mm adapter for 1/4 "sockets and screw hook bit.